Home > Uncategorized > Amazon: RST Brands OP-OL04-Grn Original Orbital Zero Gravity Patio Lounger Only $31 + Free Shipping (dropped from $69.88)! 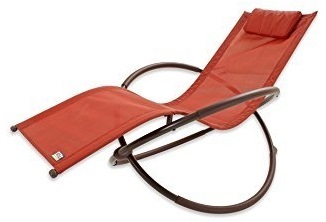 Amazon: RST Brands OP-OL04-Grn Original Orbital Zero Gravity Patio Lounger Only $31 + Free Shipping (dropped from $69.88)! September 23, 2018 Comments Off on Amazon: RST Brands OP-OL04-Grn Original Orbital Zero Gravity Patio Lounger Only $31 + Free Shipping (dropped from $69.88)! Amazon has the RST Brands OP-OL04-Grn Original Orbital Zero Gravity Patio Lounger marked down to only $31 + Free shipping (dropped from $69.88)! FREE 5-Ct Sample Pack of Signature Baby Diapers!